The New Zealand Government has passed a new law raising national excise taxes on cigarettes and tobacco, with additional increases planned for the next three years. On April 28th the New Zealand Government announced the passing of laws immediately increasing excises taxes on cigarettes and loose tobacco. From April 29th, the excise duties on cigarettes rose by 10 percent, and 24 percent for loose tobacco sales. 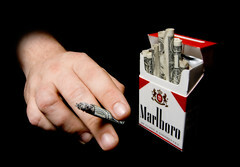 A further 10 percent increase is scheduled for all tobacco products on January 1st 2011 and January 1st 2012. Under the immediate change, one kilogram of loose tobacco faces excise taxes of NZD 492.86. According to Government estimates, the changes will yield approximately NZD 205 million annually in extra collections. Indications have arisen that New Zealand’s alcohol excise tax could be raised, among other changes to legislation surrounding the sale of liquor. A document has recently been leaked to the media containing a number of proposed alcohol legislation reforms. Key among the changes is a 50 percent increase in alcohol excise duties. The newest report comes as an extension of discussions conducted in 2009, which recommended the current 50 percent increase, regular reviews of excise taxes, and transferring all revenues collected to alcohol-harm-prevention organizations. The report also recommended changes to allowable liquor sale hours, and minimum age of sale requirements. 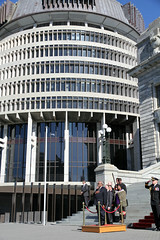 The New Zealand Government has announced that it will be cutting its spending by NZD 1.8 billion in the upcoming budget. On March 22nd at a speech given at the Wellington Chamber of Commerce, Bill English, New Zealand Finance Minister, revealed that a further NZD 1.8 billion worth of public spending will be cut by the Government, in an effort to eradicate “lower quality government spending” and improve the national fiscal situation. The new cuts are slated to be executed in addition to the NZD 2 billion of spending decreases announced earlier. 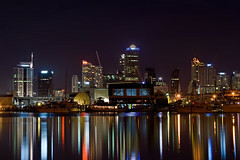 New Zealand’s Tax Freedom Day (TFD) has been calculated to fall on May 17th in 2010. On April 22th the accounting firm Staples Rodway released research revealing the country’s TFD for 2010 to be May 17th, one day earlier than in 2009. The TFD is a conceptual measure of the day on which a country as a whole has worked enough to satisfy its annual Government tax obligation. It has refer to as the day that New Zealanders stop working for the Government and begin working for themselves.